Figs are one of the most beautiful fruits. Unctuously sweet and perfumed, they are also tender and very luxurious. Unless you have a fig tree they are an extravagance as they are so expensive, but for the short season when they are available, as an occasional treat there is nothing better. Give me figs over chocolate any time! They are one of the most ancient of fruits, and it is thought they might have been the very first agricultural crop, with fig tree fossils found in the Jordan Valley dating from thousands of years ago. They are certainly mentioned in Roman writings and in the Bible. 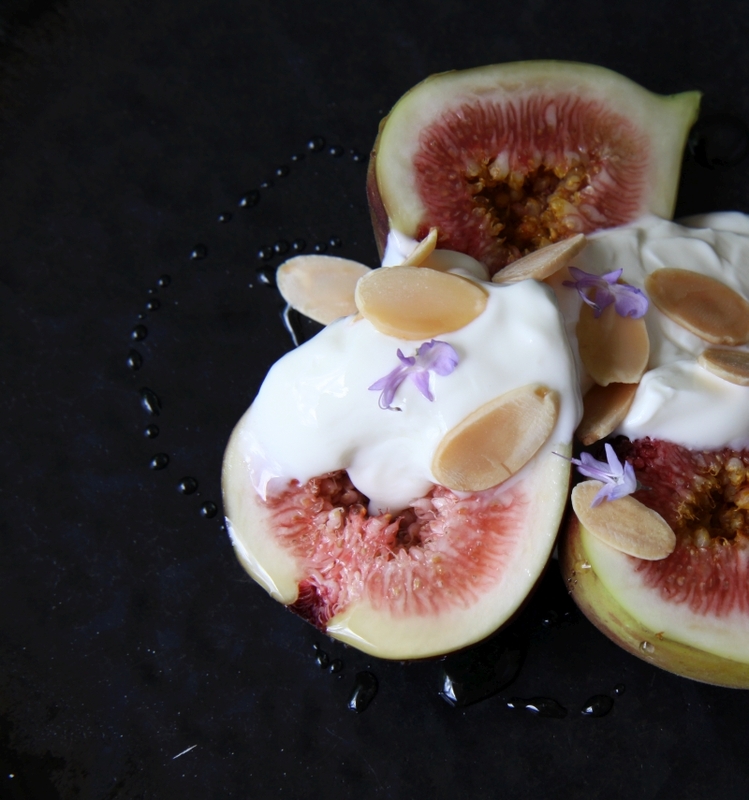 The simpler the treatment of fresh figs, the better, and so, in this recipe, with just honey, yoghurt and lightly toasted almonds you can make a wonderful breakfast or brunch dish for the love of your life. Slice the figs in half, lengthwise and place three halves on each of two beautiful plates. Drizzle over the honey and then a couple of tablespoons of the yoghurt. sprinkle over the almonds and flowers, if you have them. Serve straight away.